A delightful addition to your Summer wardrobe. 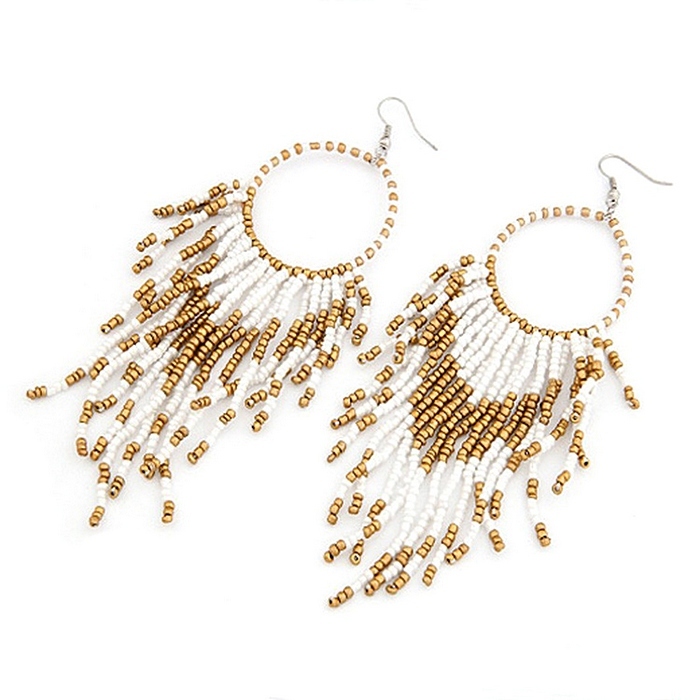 Features a hoop top from which a myriad of white and gold beads cascade down into a 'V' shape. Length: 12cm (4¾").